But with the steady advance of lighting, we may be the last generation to know that. Whether seen from ground or space, lights glare from the cities and suburbs, brightening the places we live, and spilling over into the places we sleep, and where the animals live. 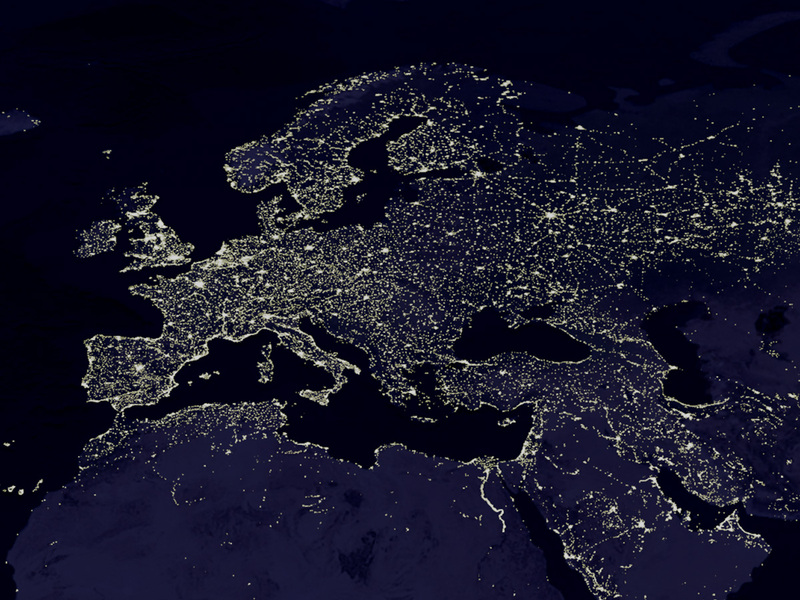 Seen from space, Europe’s cities and highways look as bright as day. How does that affect animals that have evolved with a dark night and a bright day? For decades, astronomers have moaned that “light pollution” was wrecking their view of the universe. Now, ecologists and medical experts are wondering how this extra light affects our world and our health. The evidence is disturbing. For example, studies have linked light at night to human cancer and obesity, while other researchers have measured significant changes in animal behavior. Birds, for example, start their “dawn song” hours before they would normally sing. Although bright nights help predators hunt, their prey don’t get around much anymore and therefore have less time to feed, cutting their ability to reproduce. Estimates say that light pollution is rising as much as 20 percent per year in some locations, with an average of 6 percent. Expect more change to come. It’s not just overall brightness that is growing in cities: The energy-saving light-emitting diodes (LED) now being installed are bright in the blue end of the spectrum. Blue wavelengths severely inhibit the release of melatonin, a hormone that controls the daily metabolic cycles called the circadian rhythm. Even the laptops and tablets that we use to read in the evening probably reduce melatonin secretions, since their displays are rich in blue light. One major aspect of night lighting that has changed with the surge in electric lighting is the role of clouds. Christopher Kyba of the Free University of Berlin says they once made dark nights even darker, but now they reflect city light back to the surface. In Berlin, Kyba found a 10-fold increase in illumination on a cloudy night1. Credit: Left: © Ray Stinson, Glacier National Park, USA; right: © Christopher Kyba, Berlin. Left: clouds over Glacier National Park form dark patches against the brilliant starlit sky. Right: “sky glow” brightens Berlin on a cloudy night. So how is nighttime light affecting the environment, and its human occupants? Light at night is one of the great blessings of the electric age, making cities safer and nights more rewarding, enjoyable and profitable, and loosening the link between sundown and bedtime. With so many obvious benefits, the question of drawbacks was slow to arise, even as the number and intensity of light sources exploded. 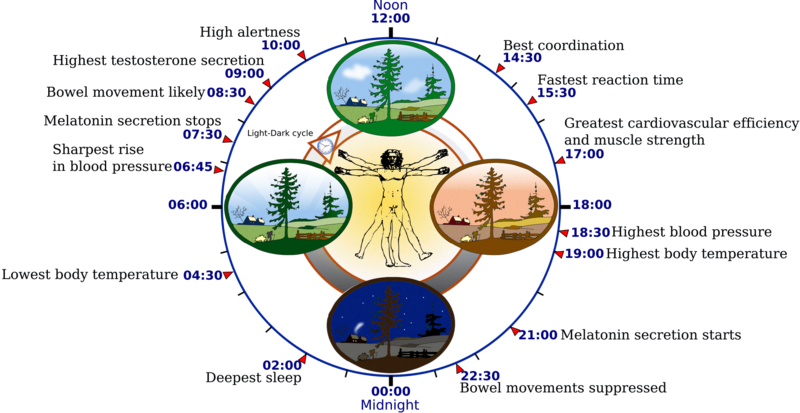 Circadian (24-hour) rhythms affect many aspects of human (and likely animal) biology. Body temperature, sleep, alertness, coordination and blood pressure are all part of the circadian cycle. The hormone melatonin, produced by the pineal gland in the brain, is crucial to the “body clock,” a complex timing mechanism that makes us warm, awake and alert during the day, and cooler, drowsier and more relaxed at night. Disturbances to the body clock cause jet-lag, and are implicated in night-time accidents and a number of diseases. 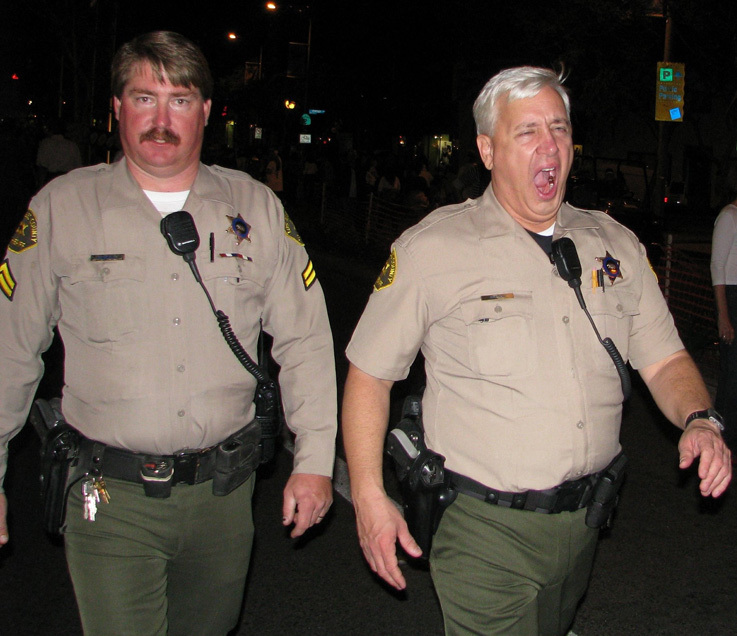 Night-shift work is notoriously hard on the body; largely because it de-programs the body clock. Obesity and cancer rates are high among shift workers. Although light is a key to setting or upsetting the circadian rhythm, other factors, such as sleep and eating patterns, also play a role in our chronobiology. Night light, a slight blight? 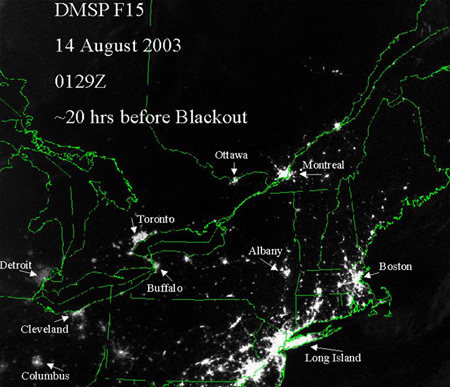 Satellite photo before the Northeast blackout of 2003 United States plunged millions into darkness. ROLLOVER image: Many cities disappeared during the blackout. A recently-recognized light-detecting cell in the retina alerts the brain to a wavelength of blue light that’s most intense in the morning. This cell uses melanopsin to detect light. It’s not involved in vision, but seems to be the missing link between light and the body clock. In lab experiments, room light before bedtime delayed and shortened melatonin release7. Thus evening light could affect not only sleep, but body temperature, blood pressure and glucose metabolism. Research by Eve Van Cauter of the University of Chicago links circadian disruption and obesity. When the sleep of volunteers was disrupted for a week, their blood had lower levels of the hormone leptin in the morning. Leptin is a chemical signal sent by fat cells that tells the body to stop eating; a low leptin level is essentially a hunger signal. But although the study focused on sleep disruption, it also exposed the subjects to light when they awoke at night, Stevens says. More evidence for metabolic links appeared in a 2011 review8: “epidemiological and experimental data support associations between disrupted physiological rhythms, a reduction in adequate sleep, and light-at-night-induced suppression of … melatonin.” Treating these problems with life-style changes could help control weight, the authors concluded. Laptops and other digital thingies bring the world to your fingertips — but how do they affect organisms that evolved in a never-ending cycle of day and night? The study of what’s called “chronobiology” may be new, but responding to daylight and darkness is almost as old as life itself. “Clock genes,” which have 24-hour rhythms that run largely independent of outside input — are ubiquitous in our cells. “The clock in our brains – and that in each of our cells – is not so different from clocks described in mice, fruit flies, plants and algae, fungi, and even some bacteria,” Merrow adds. That list includes cyanobacteria, the single-celled organisms that oxygenated the planet and originated as much as three billion years ago. If, as Stevens says, “The strongest cue to our physiology is light,” we’re nervous, given how many people read magazines and blogs, or watch TV and movies, on an eye-pad or laptop before bed. 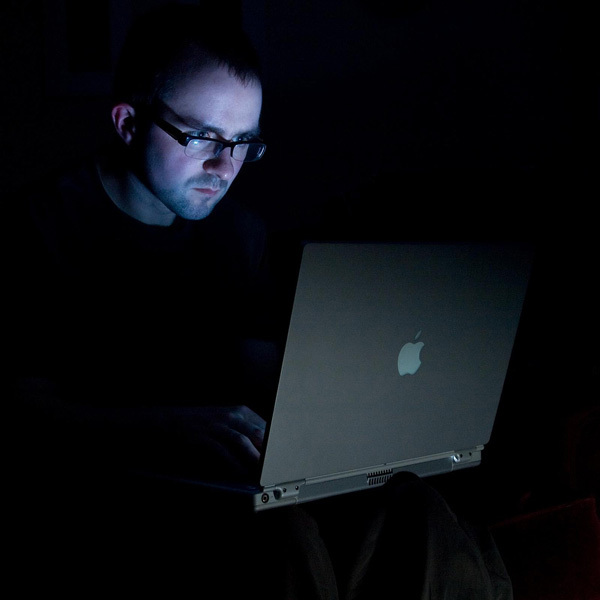 These devices, after all, are rich in the blue light that is so destabilizing to the body clock. When wildlife scientists worry about the glare of light at night, they mostly think about street lights and sky glow — the gauzy cloud of brightness that envelops our cities. 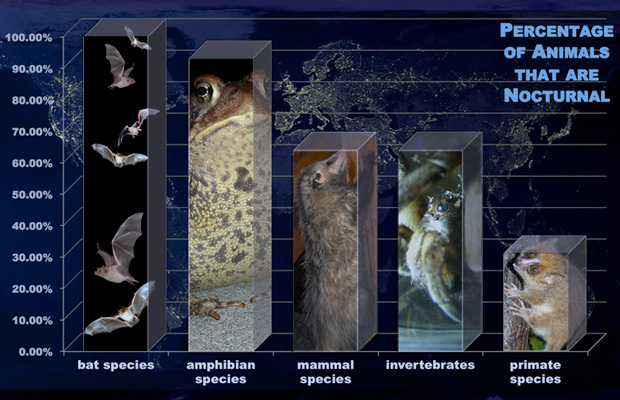 The growing concern is not surprising, since 64 percent of mammals are nocturnal, and lighting even affects fish. A study of Atlantic salmon in England found that street lighting disrupted their tightly scheduled migration10. Last week’s meeting of the Ecological Society of America provided more evidence for the ecological implications of light pollution. Scientists in Israel exposed two mouse species, one nocturnal and one diurnal, to three hours of artificial light, starting at dusk. As predicted, the nocturnal mouse cut its foraging time, especially in exposed locations. The shift could increase competition among the mice and open an ecological niche to exotic species. 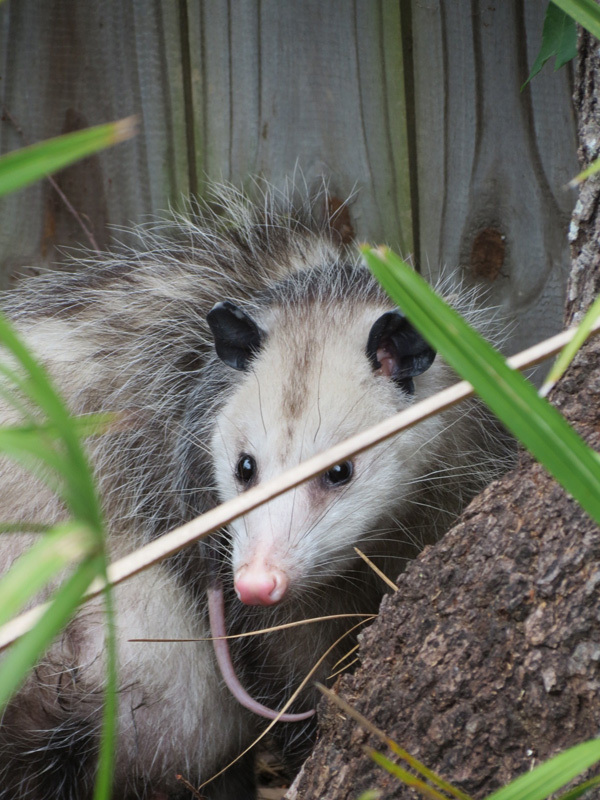 The opossum, the only marsupial in North America, climbs trees and scavenges for food at night. Will light pollution help their predators hunt? 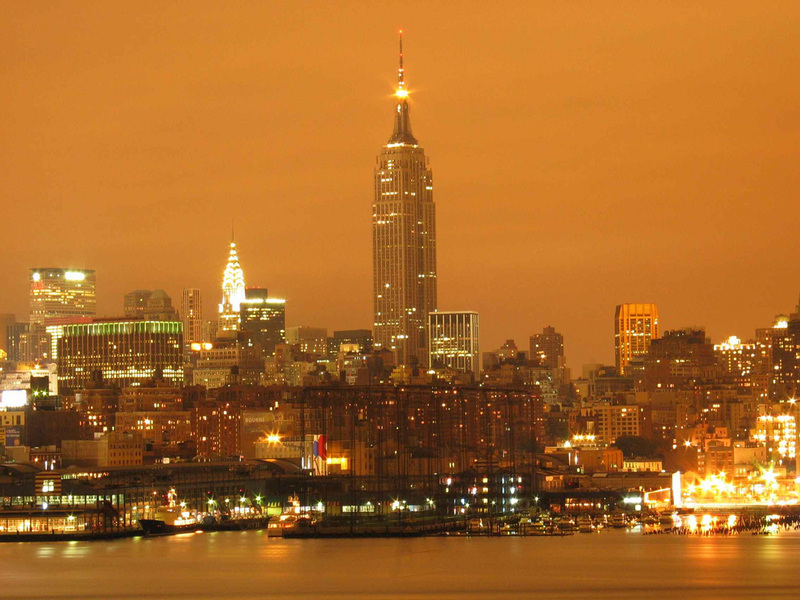 New York City’s skyline against the sky glow. It’s easy to believe that this intense light pollution would affect wildlife. Office buildings: Snare for aquatic insects? 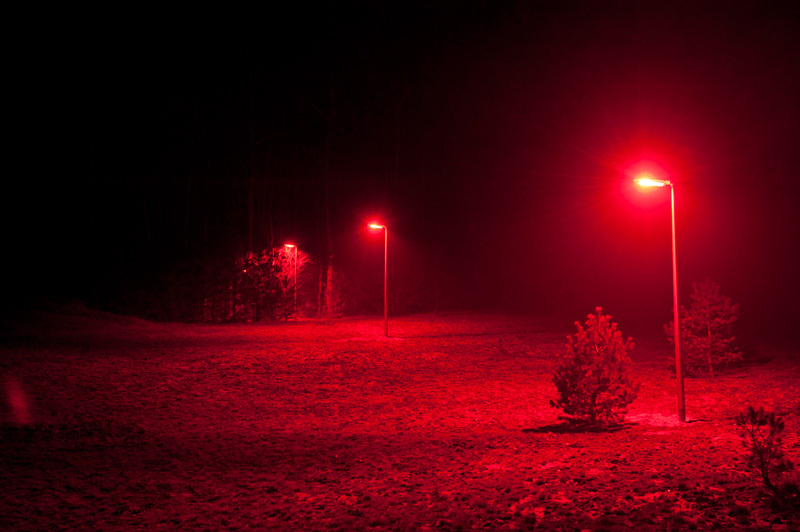 This outdoor experiment shines white, green or this eerie red light, which is deficient in the short wavelengths that affect circadian rhythms. If red or green is less harmful than white, street lights could be “tuned” to benefit wildlife, though the bizarro color scheme might take some getting used to! 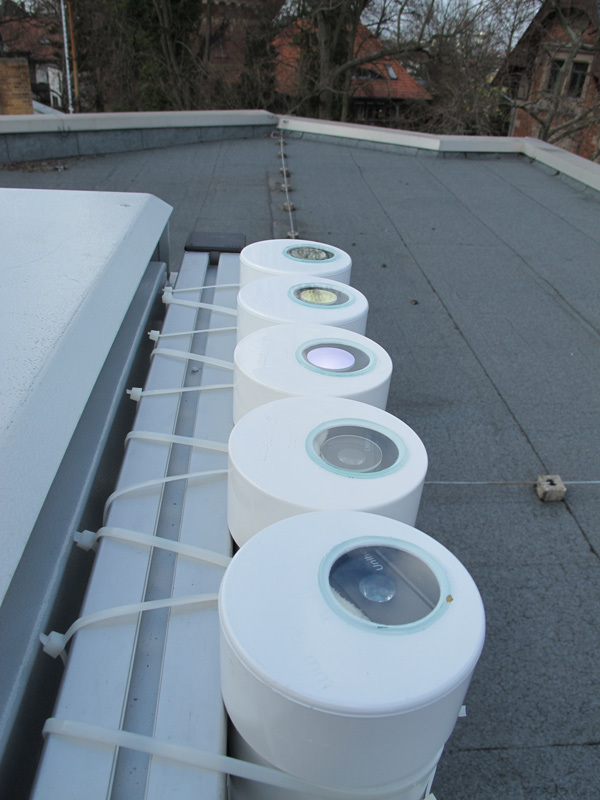 Filters on a commercial light-measurement device are conducive to widespread monitoring of light at night, filling in essential details about which wavelengths are present, and at what levels. If light’s biological effects result from its intensity, timing and wavelength, then we need to know more about the light we’re living with. That’s particularly true as older street lights are being replaced with LEDs, which have higher energy efficiency and produce a vastly different spectrum of light. Because LEDs can be tuned to intensity, wavelength and direction, better data on effects can help cities and citizens choose lighting that meets legitimate needs without overwhelming animal and human retinas, Kyba says. LEDs can be positioned to illuminate streets and sidewalks without shining into bedroom windows or up to the sky. “They are dimmable, so you could run them at 100 percent until midnight and then dim them, or have motion sensors, so they brighten when someone walks by,” Longcore says. “There is potential to save a lot of electricity and carbon emissions, and still have reasonable lighting. But they can be installed crappily, with no thought to where the light is going” or what type of light is best for the situation.